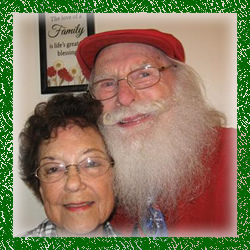 Santapa George has been Santa for 63 years, I started when I was 21 with a designed beard & now I have a very full natural real beard with a curly mustache. I weigh 148 healthy pounds & I’m very active, I dance, Sing, tell stories, do magic tricks. 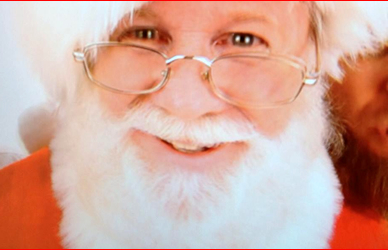 I use a fat suit to please the public that want a jolly Fat Santa. My Suit is the traditional red with white trim with a wide black belt with a brass buckle, I wear black boots with a white fir trim on top. I’ve been doing house parties for years. Currently I’m at Unique Thrift Store on Rice Street & Larpentur Friday, Dec. 18, 2015 at 3;30-8;30 with an hour break from 5;30-6;30. AND on Sat & Sun Dec 19& 20 I’ll be at Savers in Woodbury from 11-5 With an hour break from 2-3, Come & see me in action, Bring your camera & take as many free pictures as you want & visit as long as you want. Receive a FREE book & Some candy. 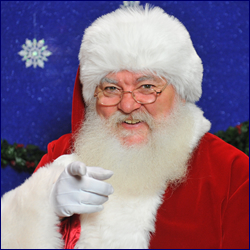 Over 18 years of being Santa – Lee Congregational Church Annual Fair / Breakfast with Santa – Garrison School Dover NH – business Christmas party’s – tree lightings – private functions and many many home visits. 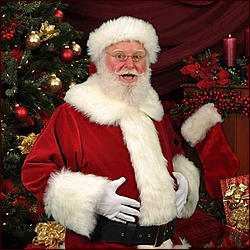 One of my best experiences was – a grandmother hired me to come to see her 2 grandsons, aged 5 and 8, well the 8yr old did not believe in Santa. 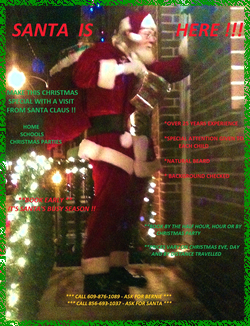 She gave me a little info in advance about the 8 yr old that he would never think Santa would know. I was there for only 20 to 30 minutes and when I left the 8 yr old was hugging Santa and telling Santa how good he will be!! 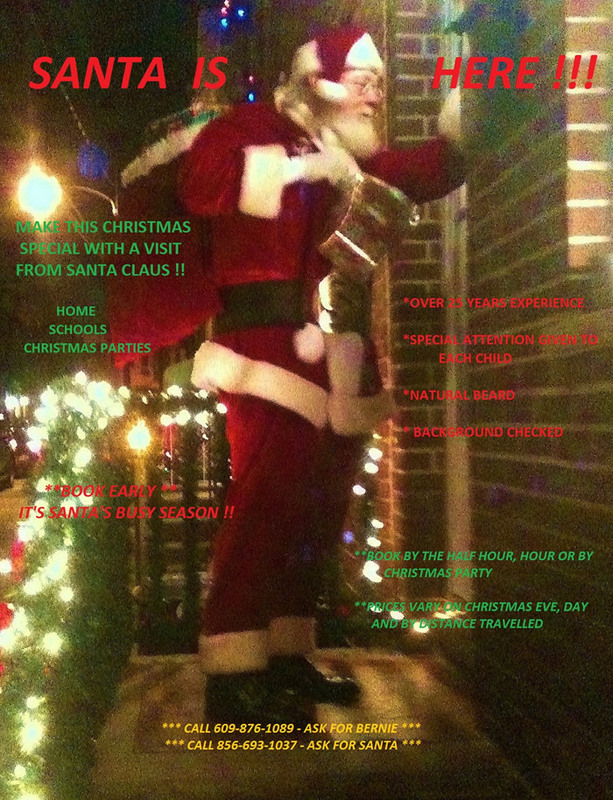 This is why I am Santa — The KIDS! This Santa is the real thing! 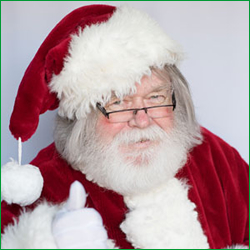 This real-beard, real-belly, experienced Santa provides a range of Santa services including home visits, business events, holiday parties, phone and video calls, personal letters, autographed photos, and more. 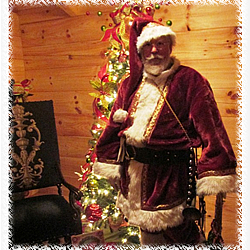 Santa is available for personal appearances, home & office visits, holiday events, business functions and special events from Boston north to NH and southern ME. 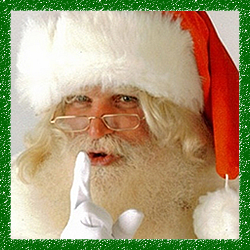 With 25-plus years as a teacher, coach, public relations specialist and business manager, this Santa is comfortable working with all types of adults and children of any ages. Santa can be gentle and quiet with the reluctant 3 year old. Or join right in to lead the Conga line at the lively adult party. 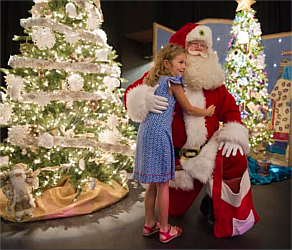 Santa will help out any way you want from passing out gifts, posing for pictures, talking with children about their wish lists, reading a story, leading songs, acting as emcee for your event, or just stopping in to wish everyone a Happy Holiday. 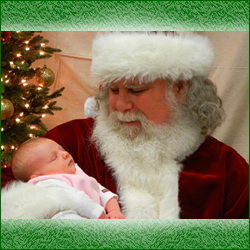 We also offer Photos with Santa fundraising events for organizations and clubs.